Whole House Sediment Water Purification System is designed for the removal of turbidity in the water caused by sand, silt, ferric iron and oxidized manganese or sulfur. Home Sediment Water Filter's fractured edges and irregular surface provides a high surface area and complex flow path for efficient removal of suspended matter through out the filter bed, typically reducing suspended solids down to the 20-40 micron range. 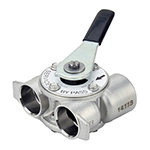 Also available with 5 micron turbidity removal media. Larger particle size creates less pressure loss through the filter and allows deeper sediment penetration into the bed for higher sediment loading and longer filter runs. This large and irregular shape prevents the screening and caking of sediment in the top several inches of the filter bed as happens in the typical sand filter, thus preventing a rapid build up of head loss and blinding problems. 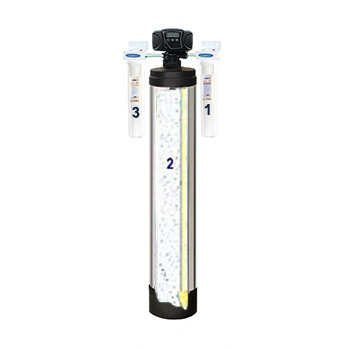 Residential and Light Commercial Sediment Water Filter System's light weight means lower backwash rates and better bed expansion to release trapped sediment and rinse the filter media during the backwash cycle. 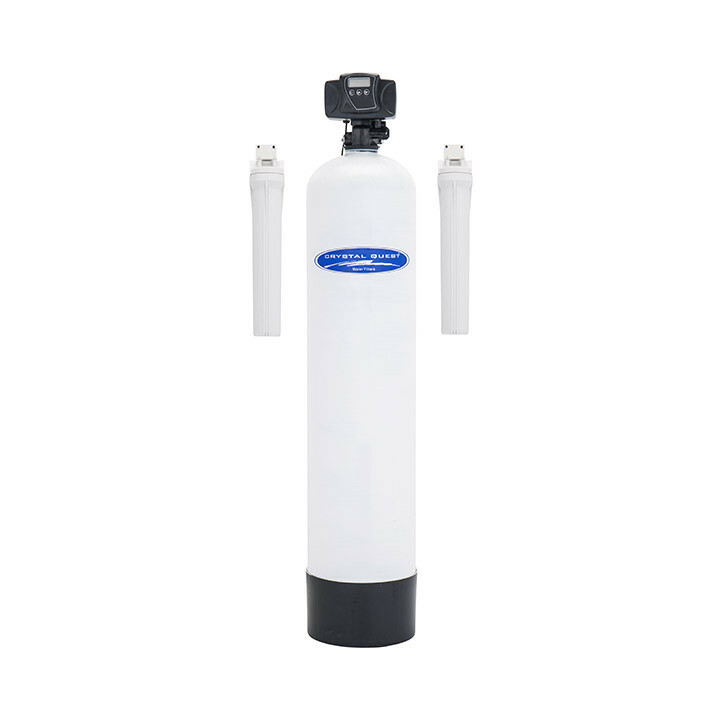 This ideal combination of particle shape, size and density make it a good choice where quality water filtration and water conservation are important. First stage, water travels through a 20" sediment cartridge that removes sediment, silt, sand and dirt. 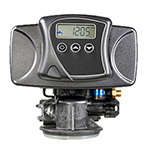 Also this extends the life of water softeners, water filters, and prevents damage to control valves or pumps. Third stage, water travels through a 20" solid carbon cartridge for a final conditioning of the water and removing any remaining contaminates and VOC's which may be in the water. 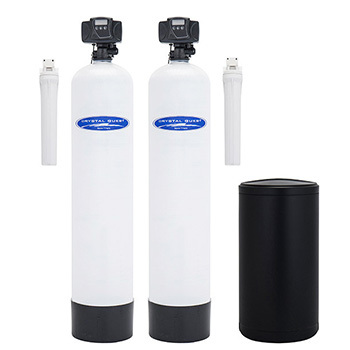 Can be a upgraded to a Dual Tank, Sediment/Turbidity + Water Softener, to remove hardness. Chose 1.5 cu.ft. for smaller homes or less turbidity, and 2.0 cu.ft. for lager homes or higher Turbidity and/or Hardness. Media Bulk Density: 24-26 lbs./cu. ft.
Sediment / Turbidity media life: 1.5 cu.ft - 750,000 gallons (low to medium turbidity), 2 cu.ft - 1,000,000 gallons (varies significantly based on sediment volume). 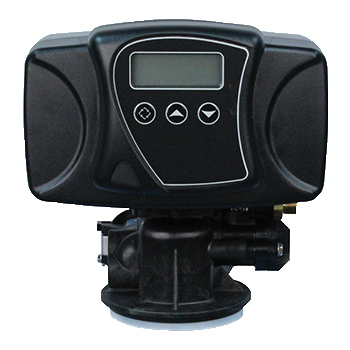 Self-backwashing Solid state Automatic microprocessor with LED display Electronics control valve system that automatically removes the trapped contaminants within the filter bed and washes them down the drain. 1/4" water line connector to drain (water line is not included) .